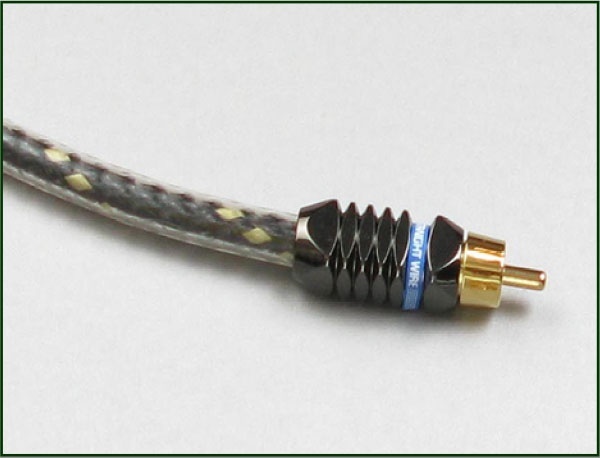 DATA-LINK is a premium silver digital 75 ohm coaxial cable that offers remarkable performance attributes for discerning audio/video enthusiasts. This cable was designed for premium (level 3) digital data applications. It provides near constant phase angle for highest quality Spdif digital signal transmissions. 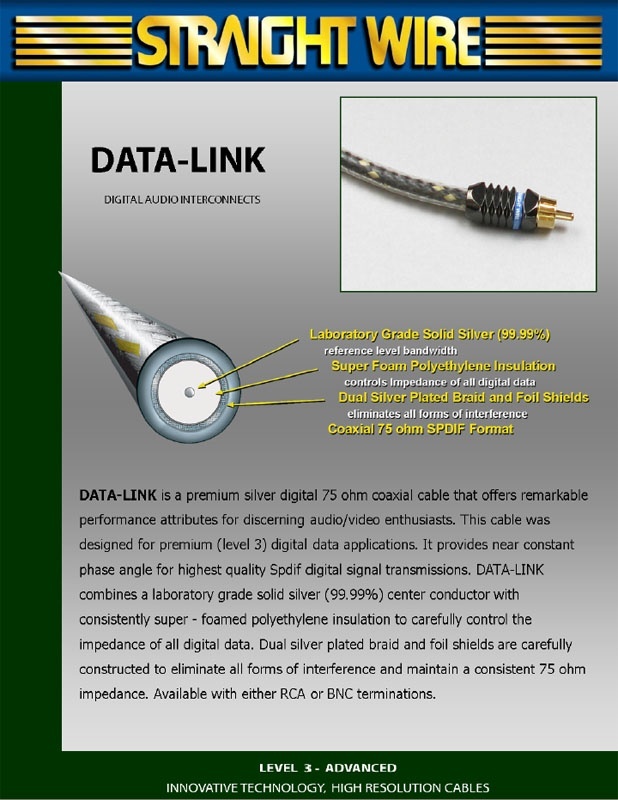 DATA-LINK combines a laboratory grade solid silver (99.99%) center conductor with consistently super - foamed polyethylene insulation to carefully control the impedance of all digital data. Dual silver plated braid and foil shields are carefully constructed to eliminate all forms of interference and maintain consistent 75 ohm impedance. Available with either premium Teflon insulated RCA or BNC terminations.